Representatives of matriculation schools and members from the Tamil Nadu Nursery, Primary and Matriculation Schools Association are protesting against the Right to Education (RTE) norms, saying that the state authorities are crushing the private schools. 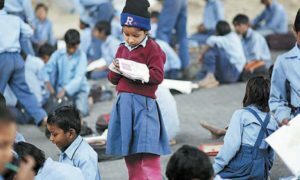 The representatives say that they have yet to receive the reimbursements for fee waiver that they prvided for 25 percent of students admitted under the RTE Act for the last three years. KR Nandakumar, secretary of Tamil Nadu nursery, primary, matriculation and higher secondary schools association said that all private matriculation schools in the state had implemented the RTE Act norms three years ago while admitting students in LKG and from Class 1 to 6. 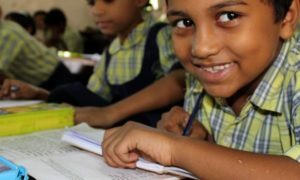 “When the state government wants us to provide free education to 25 per cent students as part of RTE Act why doesn’t it keep its word and reimburse us the fees. If this situation continues our financial liability will increase multifold forcing us to close down our institutions,” he said. The lack of fee refund is affecting the schools financially. Schools have been vocal in their opposition to he fee structure fixed by Justice P Singaravelu committee, saying it is not sufficient. They contend that the owner of the school should have full control over the fees and should not be answerable to the government. He also pointed out that there was arbitrariness in providing recognition to schools, with the Local Planning Authority(LPA) recognising schools that did not have a good infrastructure, while refusing it to schools that had a good infrastructure. “Sometimes the schools which do not have good infrastructure get recognition while others with better facilities don’t. Moreover, the facilities in many of these schools are anyway far better than those in government schools,” he said. Schools said they are ready to admit students through RTE if the rules are followed properly and they are refunded in a timely fashion. Some school representatives also have an issue with the building bye-laws, saying that schools located in crowded places face a scarcity of land, and cannot provide the 25 fet setbacks or give large grounds.